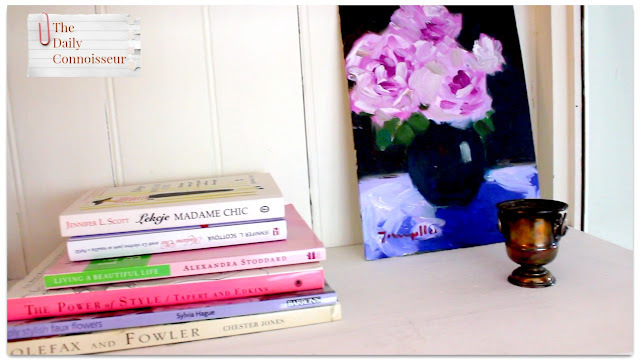 Today I have a quick video announcement for you regarding The Mapp and Lucia book club. I will be doing a livestream on Monday, August 6th, 2018 at 11am PDT. 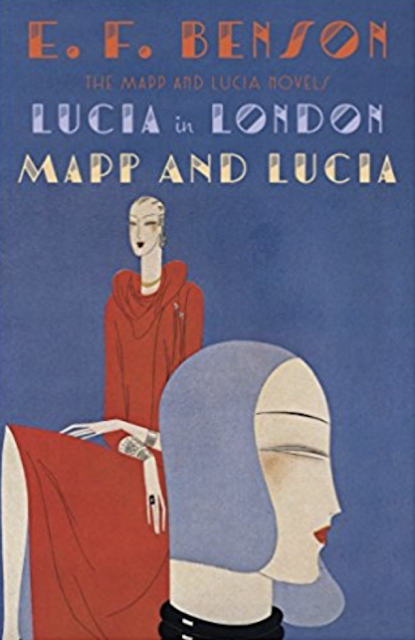 I hope you will be able to join me to discuss the next two books in the series, LUCIA IN LONDON and MAPP AND LUCIA by E.F. Benson. If you are unable to join the livestream, but would like to submit a question or comment, please leave your comment in the comment section below. I will do my best to address your questions. Don't worry, if you miss the livestream, you will still be able to watch it as a regular video. If you would like to be notified when the livestream begins, make sure you're subscribed to my YouTube channel and click the "bell" for notifications. You will be emailed whenever I upload a new video or start a livestream. I look forward to discussing the next two books in the series with you! 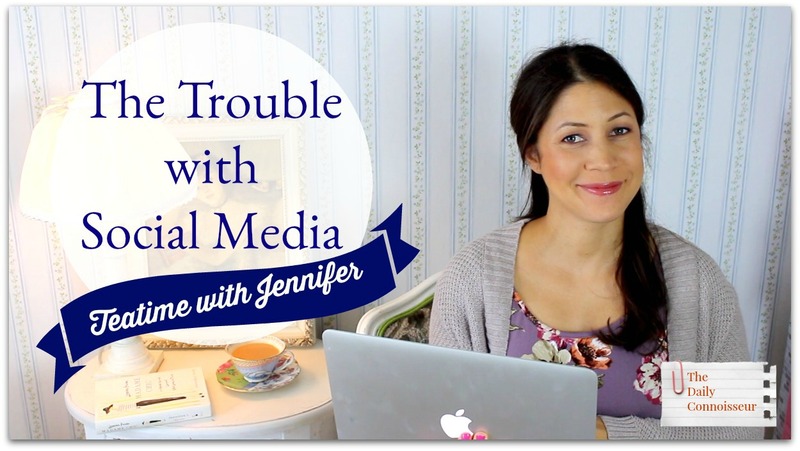 Today's Teatime with Jennifer discusses a topic I've been wanting to address for awhile: the trouble with social media. There are, of course, many good points to social media. It's a great way to promote your business. It's a wonderful way to stay connected to loved ones who live far away. It's a way to discuss current events and take the pulse of what people really think. There are many other benefits as well. On the Ten-Item Wardrobe eCourse, Jennifer K. writes, "I discovered you through reading your book "Polish Your Poise With Madame Chic" which I borrowed from the library. I thoroughly enjoyed it and I am now following you on YouTube. You are an inspiration for me to help me reorganise my life now that my three children have grown and left home. I am starting with my clothing closet which has become ridiculously over full. You have given me a new purpose and I am very grateful for all the work and effort you do in communicating to other women of all ages around the world in helping us. Thank you." Thank you, Jennifer! I'm excited to see where the ten-item wardrobe discovery takes you! -My adorable capsule wardrobe (I’m pregnant, so I donated all my ratty high school clothes and bought a couple dresses/shirts/leggings that will work during pregnancy and nursing). -Decluttering is a long process, but my former dump-areas are no longer! Everything I’ve organized has stayed organized. -I never knew how chic I could feel after a pedicure! I love looking at my toes and feeling extra feminine. It’s such a little detail that gives me a boost when i need it. I’m going to try getting a manicure next. I’m so looking forward to reading Polish Your Poise, and I’m ecstatic to discover that you have a blog and YouTube channel (I really need to learn how to do my hair). Hi Amber, your guestbook entry brought me so much joy. Thank you for sharing the ways in which the books have inspired you. I had to laugh at your comment about feeling like a "tired whale". I'm right there with you in this pregnancy! :) Thank you for visiting and sharing your wonderful news. I would love to know your thoughts on today's teatime discussion. What do you think the problems are with social media? What have you noticed in your own life and the lives of your friends? Let us know in the comment section, and your comment could be chosen as comment of the week on The Daily Connoisseur. I hope you have enjoyed all of the beauty posts this week on The Daily Connoisseur. 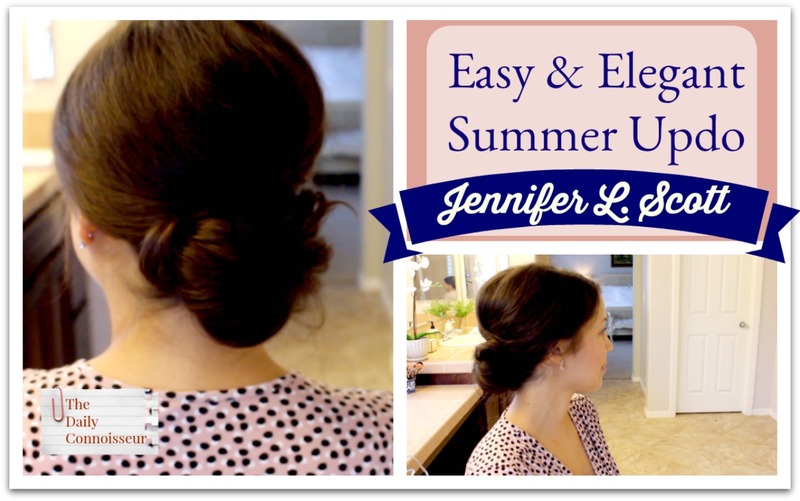 I had so much fun sharing my favorite summer hair tutorials with you. 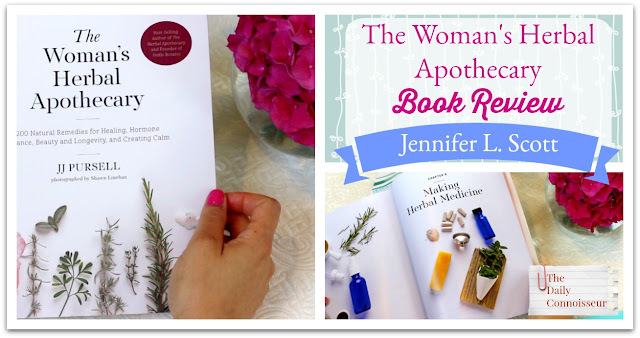 In today's Natural Home with Jennifer, we are veering from beauty and getting back to cleaning. 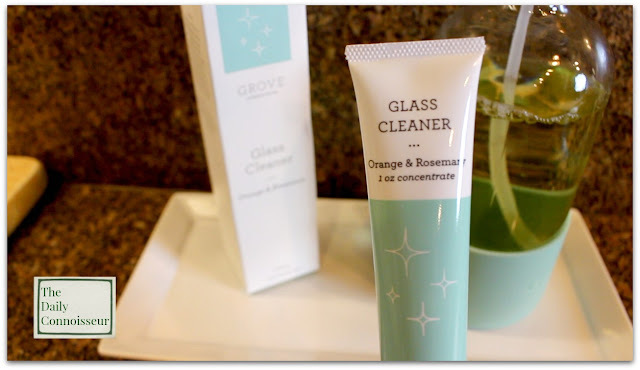 I'm reviewing Grove Collaborative's innovative cleaning concentrates in today's video. I'm a really big fan of these cleaning concentrates. 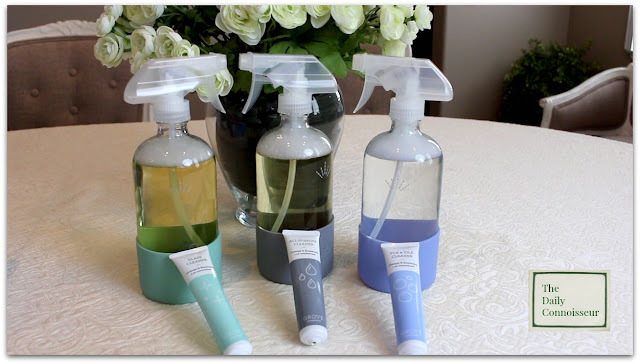 Grove sell a 3-pack that includes a multi-surface cleaner, a tub and tile cleaner, and a glass cleaner. They also sell each individual cleaner as a 2-pack. The tub and tile cleaner works well for regular tub cleaning. If you have a bigger job to do with your tub, like a heavy ring around it, you would probably need something stronger. The multi-surface cleaner is excellent. 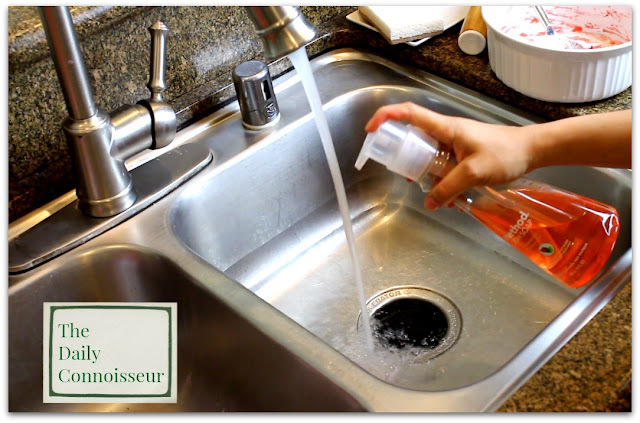 It cleans the countertops well and provides that delightfully subtle orange + rosemary essential oil scent. The glass cleaner was the first one I tried a few months ago. I actually ordered this one first before ordering the 3-pack. At first when you spray and wipe your mirrors and windows, the surface is cloudy, then turns into a really nice streak-free shine. Not only does it clean well, but the orange + rosemary essential oils make this spray smell like a wonderful spa. Our ultra-effective concentrates provides serious cleaning power without any harsh chemicals. We’ve included only the best, toxin-free cleaning agents and highest quality essential oils for exceptional performance. All Purpose Cleaner: Use this endlessly versatile spray on ceramic, chrome, concrete, granite, stainless steel and more. Not recommended for use on aluminum, brass and wood. Glass Cleaner: From windows to mirrors, this product is perfect for use on all glass surfaces. Not recommended for use on wood. Tub & Tile Cleaner: Cleaner tubs and tiles await! Use this cleaner on ceramic tile, porcelain, stainless steel, fiberglass and more. Not recommended for use on marble or brass. For extra power, let sit for 1 minute after spraying, then scrub or wipe clean. 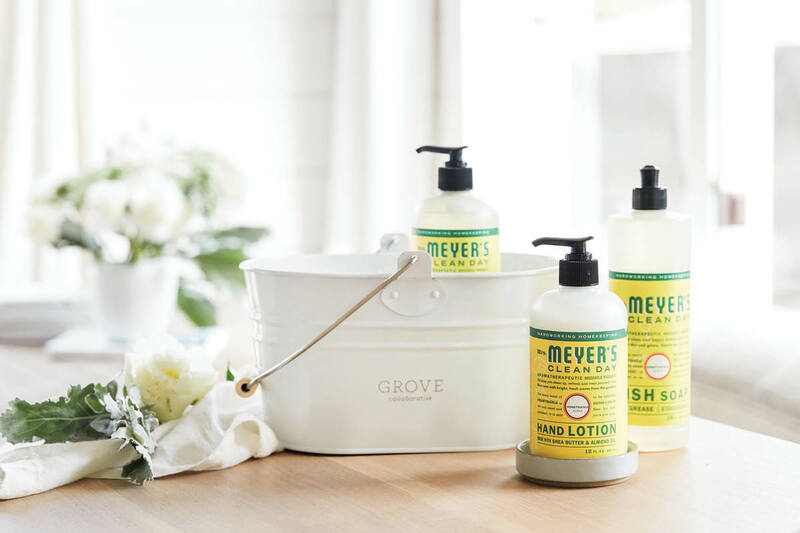 If you are trying Grove Collaborative for the first time, new customers will receive a Mrs. Meyer's dish soap, Mrs. Meyer's hand soap, and Mrs. Meyer's hand lotion + free shipping and VIP trail when they spend $20. Existing Grove customers will always receive a walnut scrubber sponge set for free. Grove Collaborative give you the option of having a subscription service where they send you cleaning products monthly, or you can turn off auto-shipments and order on an as-needed basis, which is what I do. I tend to order from them around once a month, but I find that I need different things each time I order, depending on what I'm out of. I hope you enjoy the review in today's video. I would love to know... have you ever tried the Grove concentrates? Do you have any natural cleaning products you'd like to recommend or that you'd like me to review? Let us know in the comment section. Have a wonderful weekend! I'll see you on Monday. Beauty week continues on The Daily Connoisseur with today's hair tutorial, which has been requested by a few ladies this summer. I've been wearing my hair in this style a lot recently. It's really easy to do, looks elegant, and is perfect for the summer months. Simply pull the top half of your hair back. 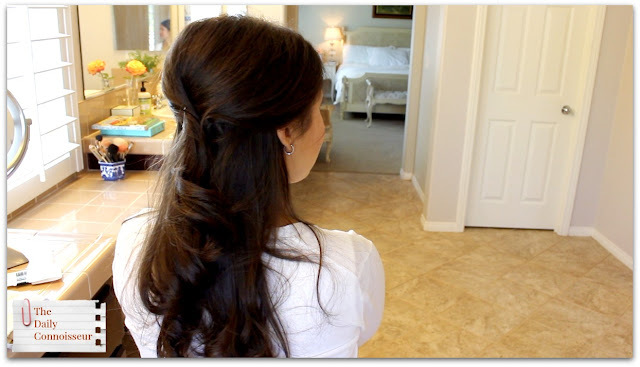 Twist the top portion of your hair to the right while simultaneously pushing it up to create volume in the crown. Pin with bobby pins. Set with hairspray. 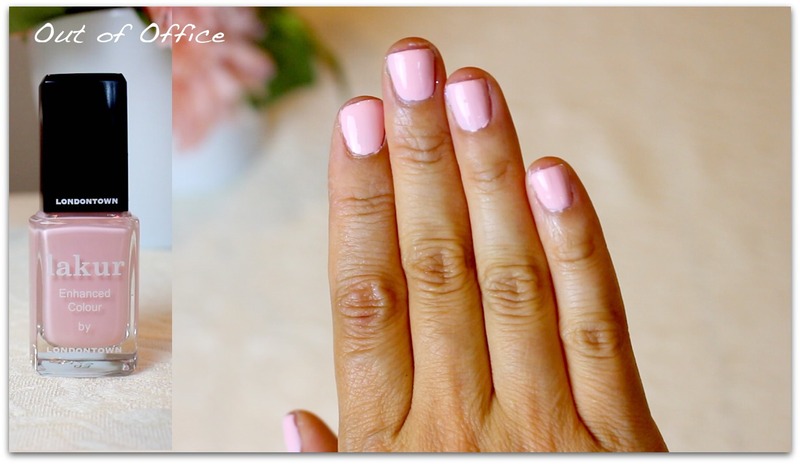 This is a beautiful summer look. I use the Garnier Fructis hairspray in sleek & style. These bobby pins for brunettes are also great. I am also linking bobby pins for blondes. 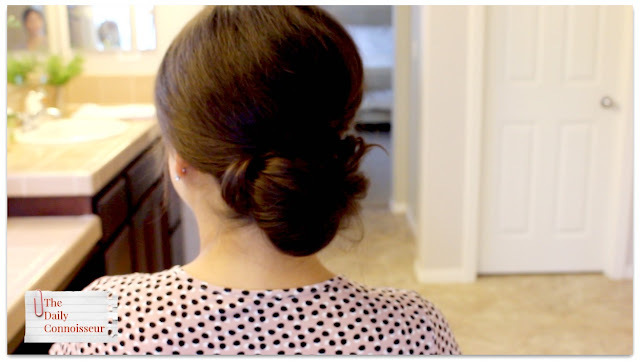 Try to match your hair color as best you can with the bobby pins so they hide into the hair. If you try this hairstyle and would like to share it with us, please take a picture and share on social media with the hashtag #dailyconnoisseur . I would love to share your pictures on the blog! 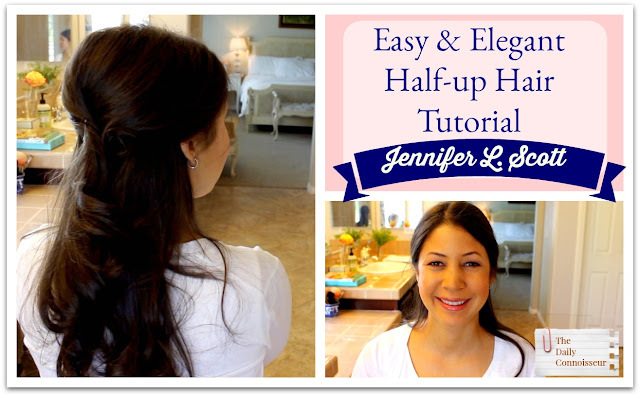 I'll see you on Thursday for another hair tutorial video. Don't forget to share your version of this half-up hair style with the hashtag #dailyconnoisseur I hope you have a wonderful day. 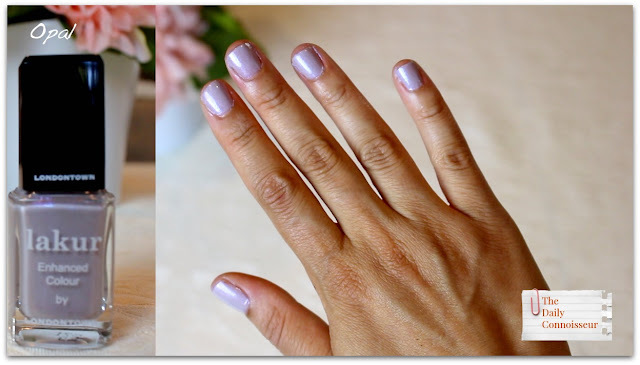 It's beauty week on The Daily Connoisseur! You will see four videos from me this week. 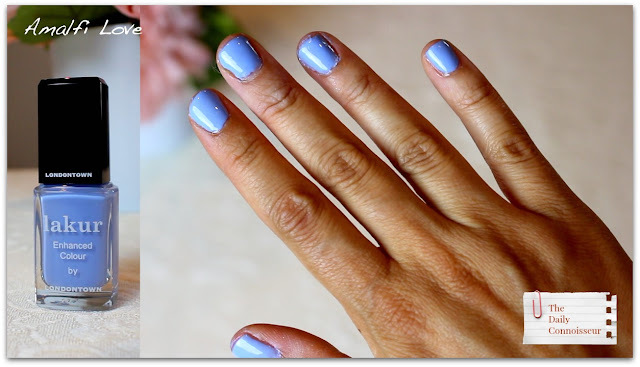 Today, we're talking nail polish. On Tuesday and Thursday, I'm sharing requested hair tutorials, and on Friday we have a new Natural Home with Jennifer. 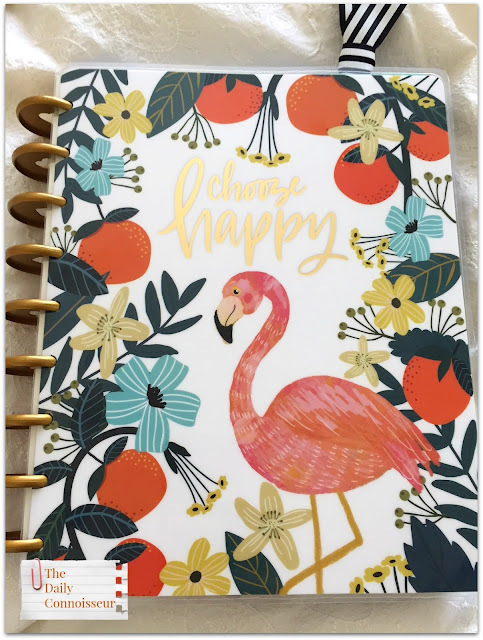 I'm excited for a fun week with you on the blog! Florium Complex enriching botanicals infused into their beautiful colors, which are also 9-free, cruelty-free, and vegan. Today, I'm swatching some of their prettiest summer colors for 2018. 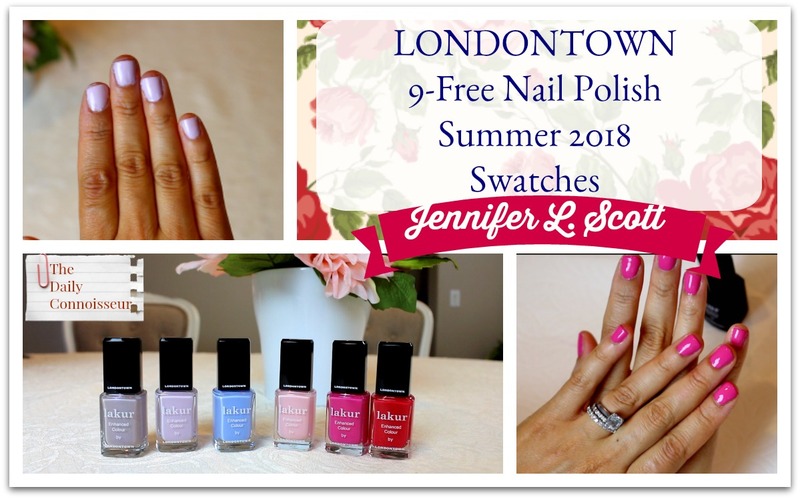 It was a delight to try out the summer shades for Londontown. 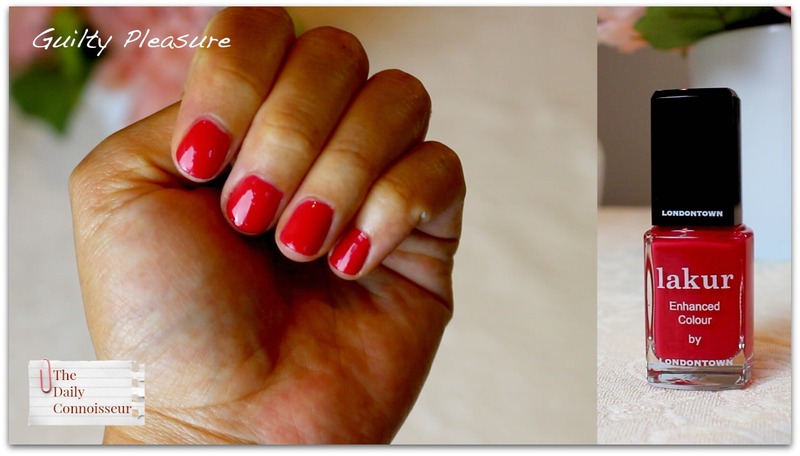 I truly do love their polishes. 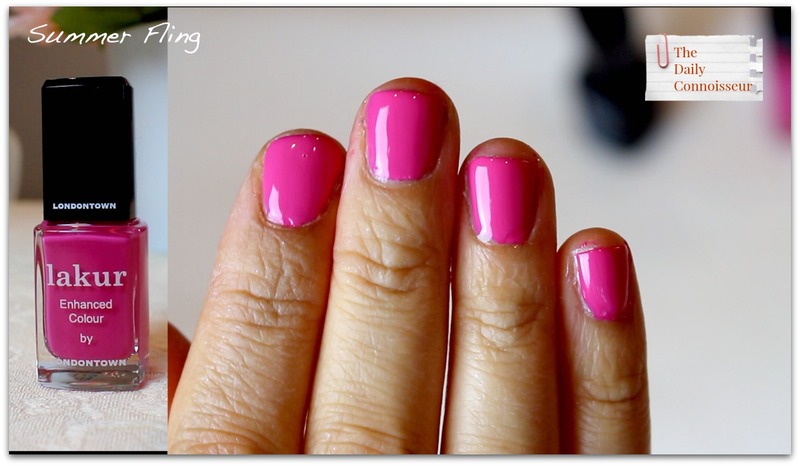 Their lasting power is comparable to the major nail polish brands, without all of the nasty chemicals. I would love to know which one is your favorite. I hope you enjoy today's video. Get your questions ready for the Mapp & Lucia book club! 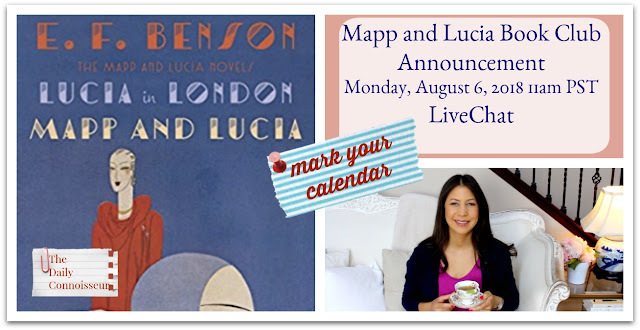 I will be doing a live chat for the Mapp & Lucia book club and will announce the date and time shortly. If you are unable to attend the live chat, please leave your questions and discussion points in the comment section of my upcoming announcement video, or any social media related posts pertaining to the book club. I'm excited to finally discuss these books with you! On the Chic Financial Principles for Debt-Free Living course, Barbara from Italy writes, "Hi Jennifer, I'm writing you from Italy. I've read all your book and the discover of the "ten item wardrobe" changed my life." Barbara's comment went on to detail her experience with the courses and she has such a great testimony. Thank you, Barbara, for your encouragement. I'm so happy that the ten-item wardrobe has been life-changing for you! I hope you enjoy today's video. 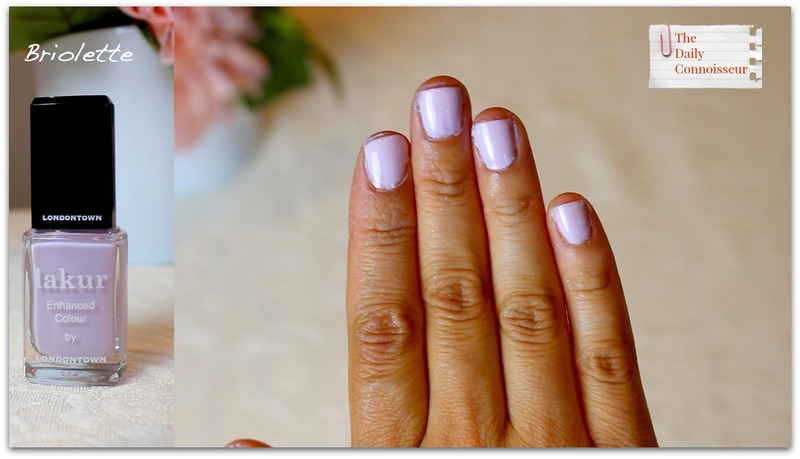 Let us know what your favorite nail color is. I'll see you tomorrow for a fun hair tutorial. FTC: This is not a sponsored post. 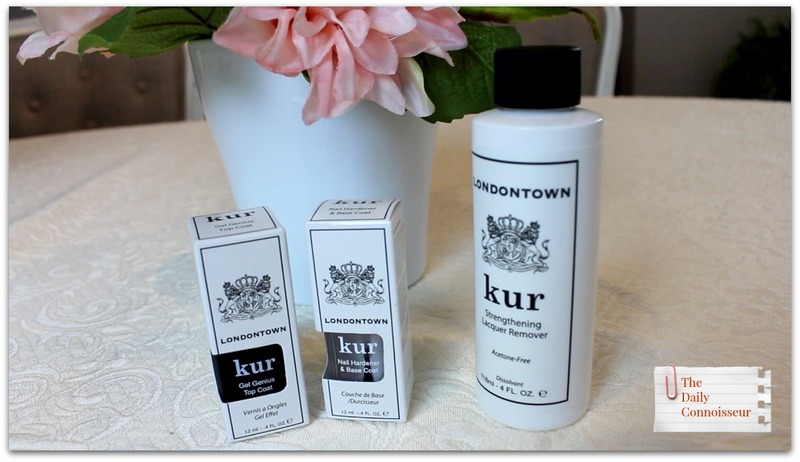 Londontown sent these polishes to review. All opinions are my own. This post contains affiliate links. In today's video, I'm sharing my review of Method's dish soap in clementine. The punchy citrus scent of clementine evokes memories of my favorite Body Shop scent from the 90s: satsuma. 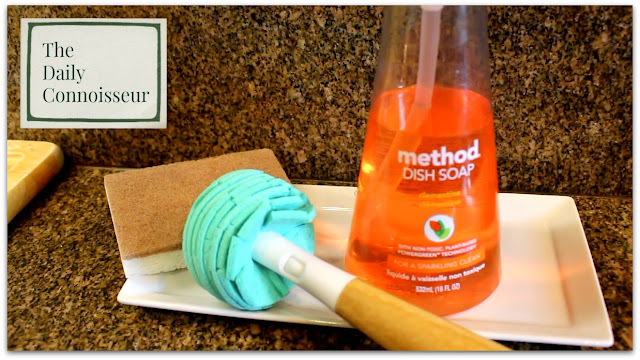 This is a wonderful, non-toxic dish soap. Here's more on the clementine scent from Method: as the zesty kid sister to the orange, our sweet clementine often feels that she’s not taken seriously. we think serious is overrated anyway. but from here forward, we decree that she be known as the patron citrus of all that is good, clean, bright + cheery. hear, hear! I hope you enjoy my review in today's video. 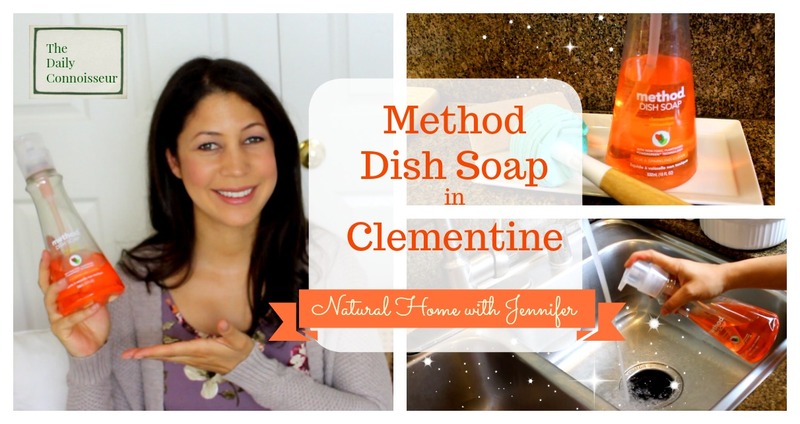 I have seen Method dish soap in stores, but not in the clementine scent. I purchased mine from Grove Collaborative. You can also find it as a 2-pack on Amazon, although the price on Grove Collaborative is much less expensive. If you are trying Grove Collaborative for the first time, new customers will receive a Mrs. Meyer's dish soap, Mrs. Meyer's hand soap, and Mrs. Meyer's hand lotion when they spend $20. Existing Grove customers will always receive a walnut scrubber sponge set for free when you use my special link. I hope you enjoyed today's Natural Home with Jennifer. I would love to know what dish soap you like to use. If you have any requests for future reviews, please leave them in the comment section below. Have a wonderful weekend and I'll see you on Monday! I recently posted a home tour featuring the downstairs portion of our home. Many people requested an upstairs tour as well, so in today's video, I'm sharing our master bedroom and bathroom with you. 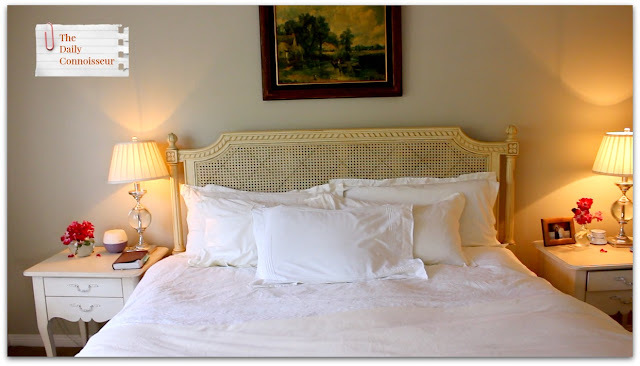 I like to keep our master bedroom minimal and serene. Everything is cream and white, which makes for a nice background with the mossy/ taupe walls. You might remember that in our last home we put up wallpaper in the master bedroom. We would like to do the same here one day, but as for now, we are enjoying the neutral and muted color palette. 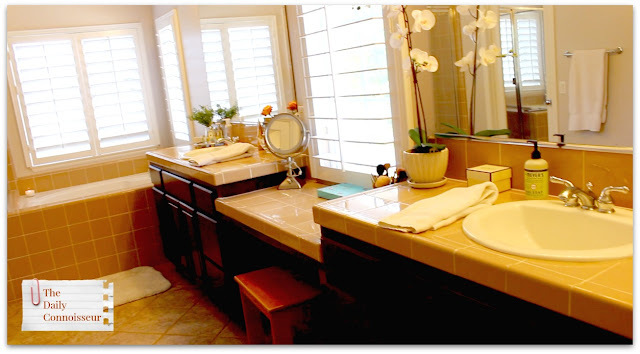 Our master bathroom is very large and light. It's a wonderful space to work with. I would love to update the bathroom one day with new, well, everything! Countertops, floors and backsplash. Maybe one day. Until then, I am enjoying it as it is. 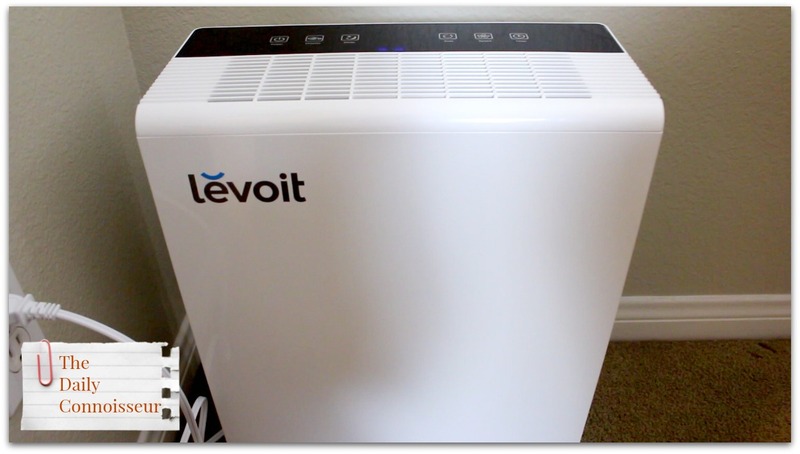 The Lëvoit air purifier is truly awesome. I've always wanted to try a purifier but was skeptical as to whether or not they actually worked. I can tell you after running this now for weeks that the air in our bedroom is markedly different than in the rest of the home. You step in and it's like the air is sparkling clean. I love the different settings you can set it to. I want to put one of these in each of our bedrooms now. Because of Amazon Prime Day, the Levoit purifier is heavily discounted. For more on Levoit, visit their website here. The sound machine I have is the Brookstone sound machine. My husband gave this to me for Christmas this year and I love it. My favorite setting is thunderstorm and I turn it on every night. The essential oil diffuser I use in conjunction with my doTerra oils, was purchased from my friend, Antoinette. You can find her information here. I generally like to diffuse lavender essential oil at night. It helps me relax and calm down after a long day. I hope you enjoy the tour in today's video. On the Ten-Item Wardrobe eCourse, Candice writes, "Hi Jennifer! Honesty time...I have known about the 10 Item Wardrobe for awhile, but I have always resisted committing. I definitely struggle to wear my best everyday. I am going through the course as a way to commit once and for all to making a change. I am also working through your financial course. Your books have always been such an inspiration and I am excited to make some changes, especially in my closet!!" Candice, thank you for commenting for the first time. I applaud your desire to change! Check back in with us and let us know how your progress is going. We are rooting for you! Today is Amazon Prime Day, which is a wonderful day to do your shopping and secure major deals on Amazon. Thank you for introducing us to Nikki. I like her lovely, soft yin energy with her feminine decor, her love of ballet, her appreciation of silence, and how gorgeous she looks in grey. I will be taking a closer look at her blog. I would like to suggest a couple of books based on the books you two mentioned. If you like "Material World", then I think you will love "In Her Kitchen: Stories and Recipes from Grandmas Around the World". Also, if you like the "The 5 Different Languages of Love", then you will adore "The Child Whisperer" by Carol Tuttle. This book discusses the four different energy types that children (and adults) can have and how to proceed accordingly. Hi Alexandra, you always have the most insightful comments. Thank you for those two book recommendations. I've linked them here for others to check out as well. I'm really interested in the cookbook sharing the recipes from grandmothers around the world. Thank you! 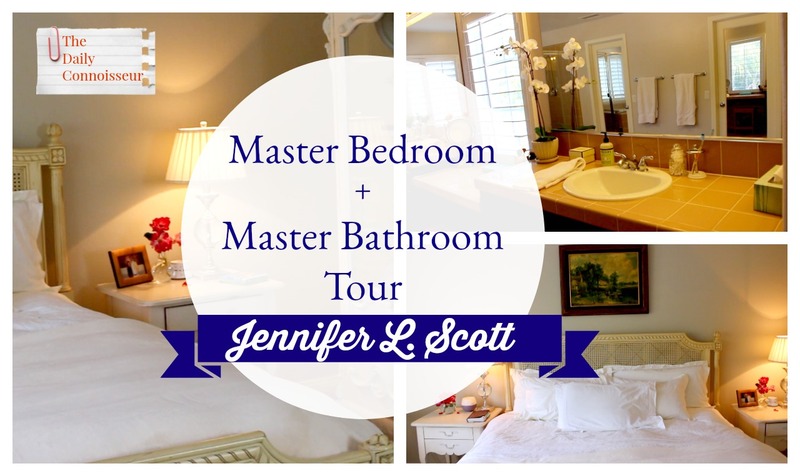 I hope you enjoyed today's master bedroom and bathroom tour. Today I would love to know how you decorate your bedroom. 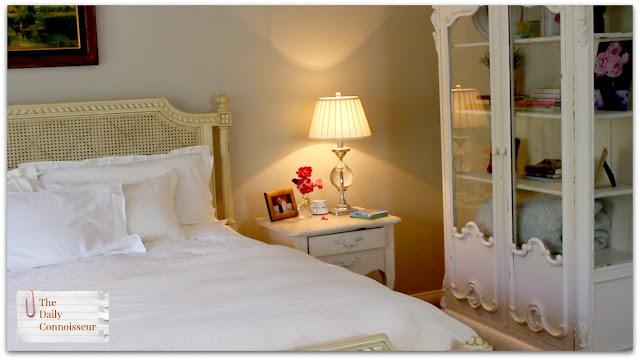 What do you have in your bedroom at night to help you unwind? Do you diffuse oils? Listen to sound machines? Just enjoy good old-fashioned silence? :) Also, do you use an air purifier? Let me know in the comment section below and your comment could be chosen as comment of the week on the blog. I had so much fun connecting with you four times this week on the blog! 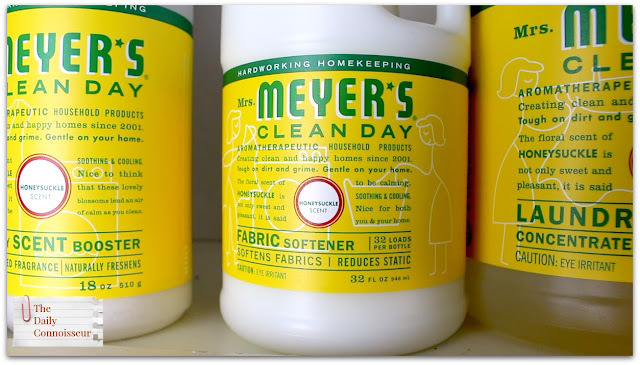 Today's post is highly requested: I am sharing my review of the Mrs. Meyer's laundry detergent line, namely the detergent, fabric softener, and scent booster. I have the honeysuckle scent and simply adore this laundry system. I also give you a tour of our laundry room in today's video, and talk about the nostalgic scent of Madame Chic's laundry detergent. 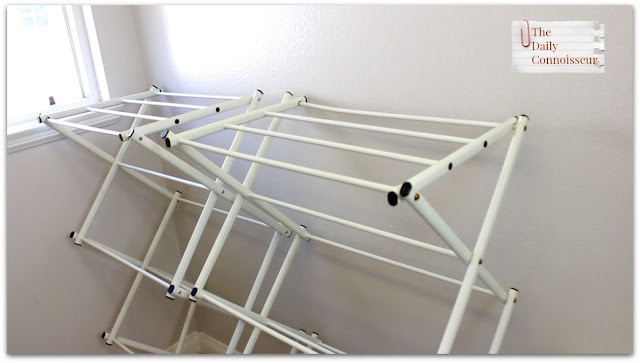 ...as well as one wall-mounted laundry rack. 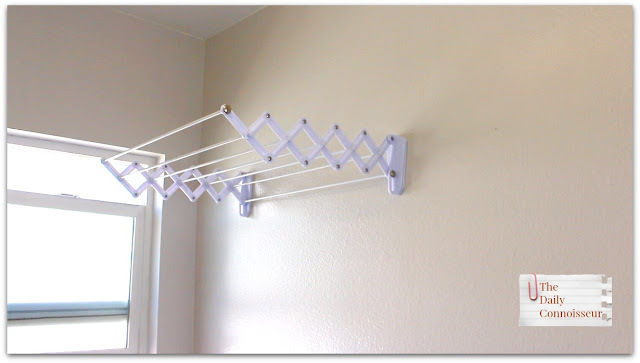 I use this wall-mounted rack to hold my ironing board and iron. You can find Mrs. Meyer's laundry detergent in many places. Online you can find a two-pack on Amazon, the fabric softener on Amazon, and the scent booster on Amazon. 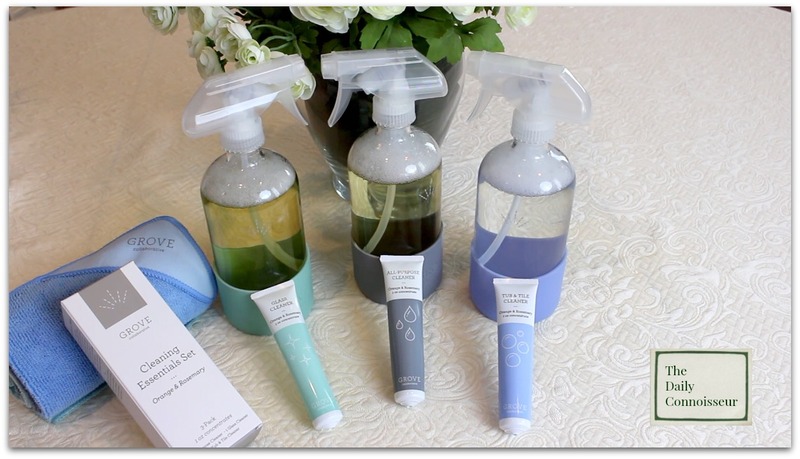 As you know, I like to get my natural cleaning products from Grove Collaborative, who tend to have the best prices, wider variety of choices, and really great regular gifts for their VIP customers. My sister ordered the free gift and didn't realize you could choose your own scent at checkout. So if you take advantage of the offer, be sure to select your favorite scent. For a review of the Mrs. Meyer's scents, please see my blogpost from Tuesday, Favorite Mrs. Meyer's Scents. This gift promotion starts today and runs until Sunday, so I wanted to give you the opportunity to take advantage of it. Existing Grove customers will always receive a walnut scrubber sponge set for free when you use my special link. I hope you enjoyed the review and laundry room tour in today's video. I also plan to review the Method laundry detergent in the coming months. Please let me know if you have any requests for other laundry reviews. I'll see you on Monday for a master bedroom tour! Have a great weekend. I'm really enjoying the interview series on The Daily Connoisseur, and hope that you are too. I have a wonderful chat for you today with Nikki Moreno of the Inspired by Nikki YouTube channel. Nikki and I have a candid discussion about parenting, marriage, cleaning, YouTube, penmanship, and so much more. I am so excited for you to see our interview today. I hope you enjoy today's video. The book I mention in the video that shows how people live all around the world is, Material World by Peter Menzel. I love this book! 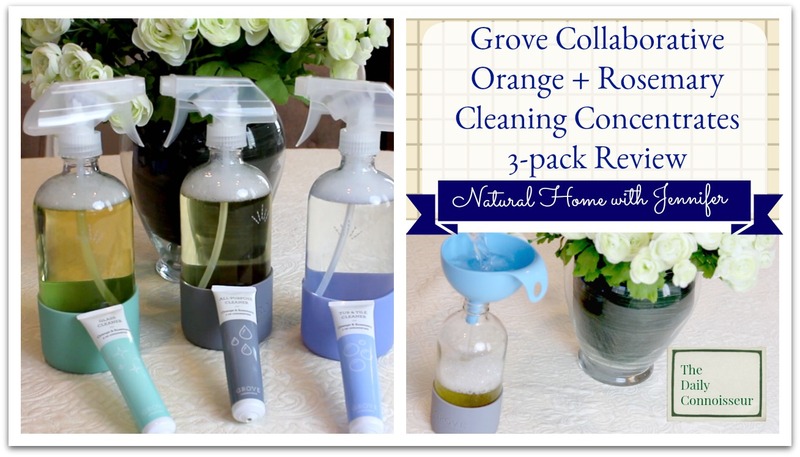 In yesterday's Favorite Mrs. Meyer's Scents video, I shared Grove Collaborative's lovely promotion for July. 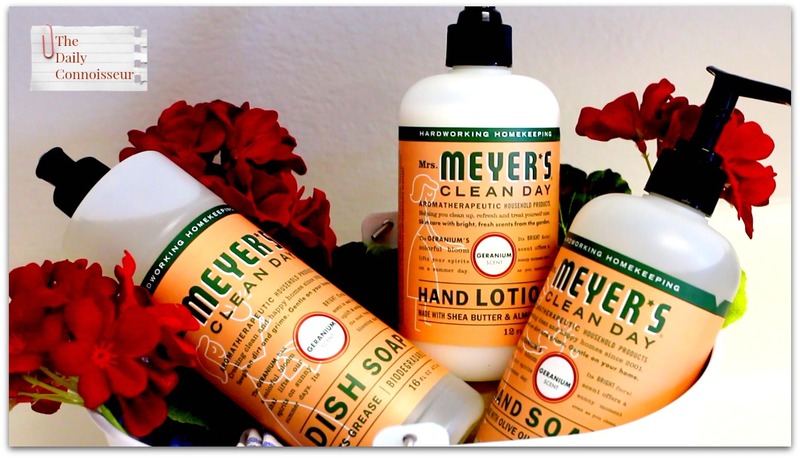 New customers can receive a Mrs. Meyer's dish soap, hand soap, and hand lotion, plus a pretty farmhouse cleaning caddy when they place their first order of $20. Existing customers can get a set of free walnut scrubber sponges. If you are interested in trying out Grove Collaborative, this is a great time to do it. Regarding Monday's post on Efficiency, sheldinecooper on Instagram writes, "I don't know if this is a tip but I just find ways in which to do something the fastest way possible... For example things like "don't walk somewhere empty handed" when moving house or tidying, make every step and trip count, map out routes when shopping, what's on the way where to pass by next and where to on the way back..."
Sheldinecooper, this is really great advice. I do the same! Whenever I travel to a new room, I always carry something with me that needs to be put away. Great clutter-clearing advice too. Thank you! Thank you for joining me in today's video. I hope you enjoyed my chat with Nikki! I would love to know what your thoughts are on the topics we discussed. Chime in below and your comment could be chosen as comment of the week on The Daily Connoisseur. I'll see you tomorrow for a review of the Mrs. Meyer's laundry detergent line in another Natural Home with Jennifer video. I'm posting two Natural Home with Jennifer videos this week. 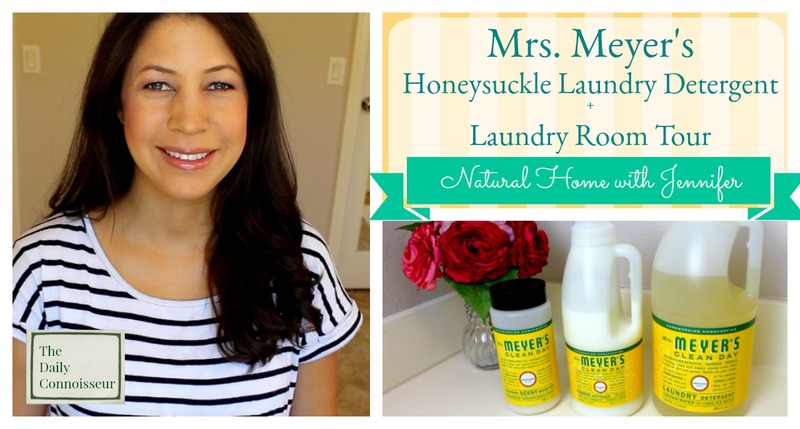 In today's video, I'm sharing some of my favorite Mrs. Meyer's scents. There are so many options and the scents are not your typical cleaning product scents: geranium, bluebell, honeysuckle, lemon verbena, basil, and lavender to name a few. So today I break down my favorite scents for you. At the top of the list is the honeysuckle scent. On Friday, I will be reviewing the laundry line in honeysuckle. Honeysuckle is a beautifully sweet and delicate scent. It's my favorite. I also love the Geranium scent. It's surprisingly delightful- more perfumed than the other scents, with a strong, floral and herbal aroma. Another wonderful fragrance is Basil, which is unexpectedly mild and sweet, not savory, as I expected it to be. 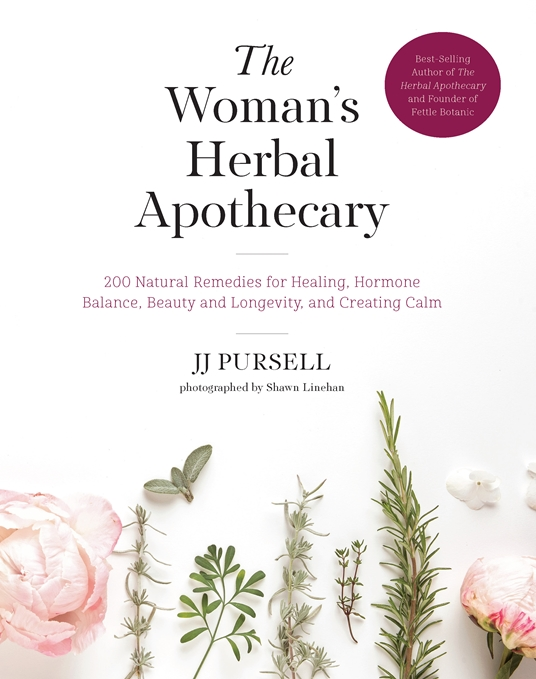 The Lemon Verbena scent is a green, herbal scent that is very pleasing, although doesn't purely smell like the real lemon verbena plant. The Lavender is very pleasant although, like the lemon verbena, doesn't ring as a pure lavender scent to me. This one is more heady and herbal. I discuss all of the scents I have tried in today's video. Today, I would love to know what your favorite scent is. This promotion starts today and runs until Sunday, so I wanted to give you the opportunity to take advantage of it. Existing Grove customers will always receive a walnut scrubber sponge set for free when you use my special link. Please note that after Sunday, you will still receive a free gift, it will not include the caddy. I hope you enjoyed today's bonus video. I would love to know... what is your favorite Mrs. Meyer's scent? I'll see you on Thursday a wonderful interview with Nikki Moreno from Inspired by Nikki. In my recent Self-Publishing Success Story, I mention that I am a very efficient person. If you are going to write books and raise a family, you need to be! :) This is an area that I have a lot of experience in and in today's video, I share my best efficiency tips with you. To get an expanded discussion on each of the tips, please watch today's video. I have summarized them for you here. Tip #1- Wake up well before your family. I usually wake up at 5:30am, a few hours before my children wake up. This quiet morning time is perfect for getting tasks done. I have the energy and motivation and it sets me up for the day. I feel prepared. Tip #2- Cut out television. No seriously. A recent New York Times article stated that the average American adult watches 5 hours and 4 minutes of television a day. While you probably don't watch that much TV, imagine the hours you could recoup if you cut out television watching entirely. Tip #3- Cut down on social media. For many of us, using Facebook can be a guilty pleasure. But track how much time you spend on your social media sites. This digital hobby could be taking up valuable hours and minutes in your day. Tip #4- Make goals for yourself. If you are entering into a new season, make goals for yourself and take action to accomplish them. For example, during our summer break, I made the goal of organizing the pantry, establishing a filing system and clearing/ de-cluttering the homeschool room. I'm nearly finished with all three of those goals and it feels good! Tip #5- Embrace schedules and routines. Utilizing routines doesn't mean you have a boring life, it just means your work is regularly getting done, which frees up time to enjoy other things. I have a cleaning schedule, a cooking schedule, and a working schedule among other regular weekly routines. Tip #7- Meal plan. In addition to planning our weekly meals, I really enjoy freezer cooking. Freezer cooking has helped us so much! It's wonderful knowing that a healthy, homemade meal is always available on the days where I am too busy to cook, or simply don't feel like cooking. It helps me be efficient without compromising our family mealtimes together. These tips really only scratch the surface. If one of these topics interests you and you'd like to know more about it, please let me know in the comment section and I would be happy to expand the discussion in future video. There will be four videos this week on The Daily Connoisseur! 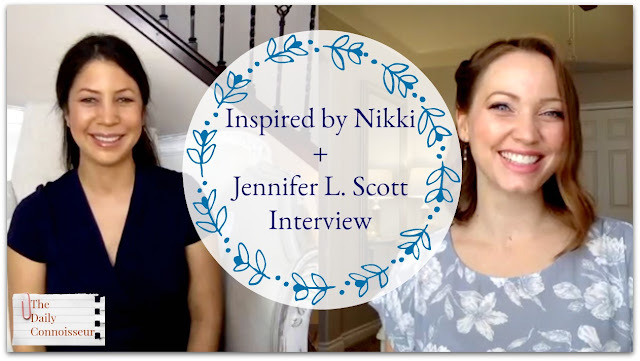 Tomorrow, I'm sharing my favorite scents for the Mrs. Meyer's line, Thursday's video is an interview with Nikki Moreno of Inspired by Nikki, and Friday's Natural Home with Jennifer is sharing a laundry detergent review. I hope you'll join me! On last week's Homeschooling Update, Rachel writes, "I’m so glad you all had a great year! I am currently homeschooling my 3 older children (rising 1rst, 4th, and 6th grades) with a delightfully active 3 year old in tow. This is our 5th year, and we all enjoy it. I’m thrilled that I get the opportunity to spend so much time with my children while they are young. Our days are (usually) joyful and satisfying, and my children are thriving socially, academically, creatively, physically, spiritually, really all the ways I can think of. I love your books and your blog! I think of your work sometimes when I’m tempted to be sloppy, lazy, grumpy, and living in my pajamas. Getting dressed everyday makes a huge difference in my attitude and productivity! Thanks for the inspiration you give me to keep classy. Much love!" Hi Rachel, your comment was very encouraging! I loved to read about your positive experience with homeschooling. I'm thrilled that it works so well for your family. Fantastic! Thank you for watching today's video. I would love to hear from you. Do you struggle with efficiency? Do you have any efficiency tips to share with us? Have you noticed an area in your life that you could adjust in order to be more efficient? Let us know and your comment could be chosen as comment of the week on The Daily Connoisseur. 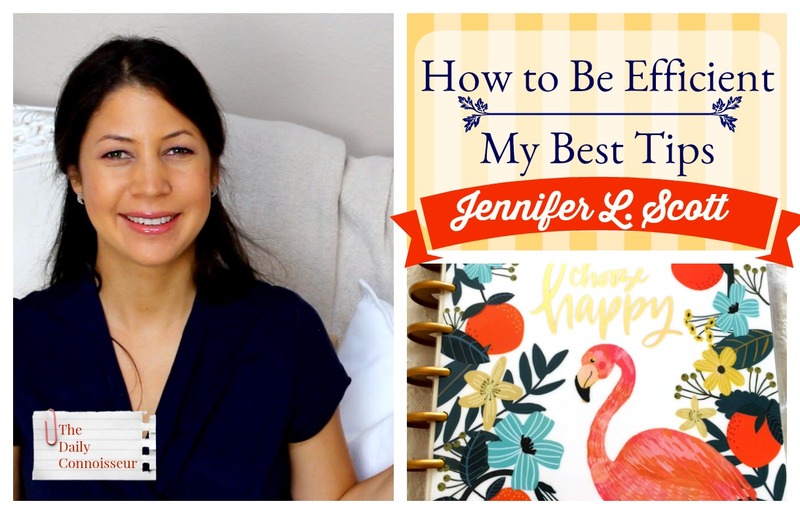 I'll see you tomorrow for a special bonus, Natural Home with Jennifer, video. I'm not sure what I was thinking trying out a new deodorant the day I performed in my daughters' piano recital, but thankfully my story has a happy ending! 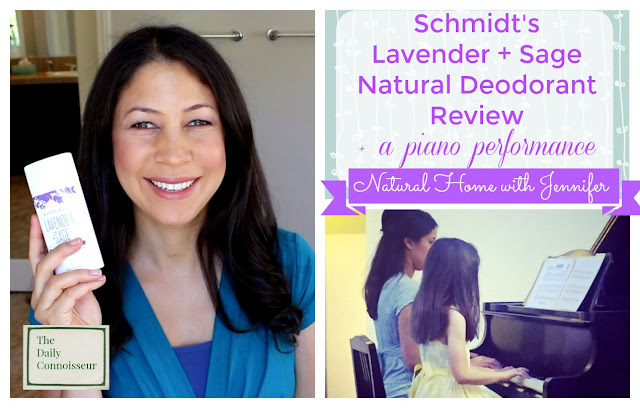 In today's Natural Home with Jennifer, I'm reviewing Schmidt's Lavender + Sage natural deodorant. The first day I tried the deodorant, I performed in my daughters' piano recital, playing a duet with my younger daughter. It was a hot day and thankfully the deodorant worked well under pressure. My daughter and I performing in her piano recital. I hope you enjoy the review in today's video, along with our dress rehearsal piano performance. You can find a two-pack of the deodorant on Amazon. I purchased the deodorant through Grove Collaborative where I get all of my natural cleaning and beauty products. 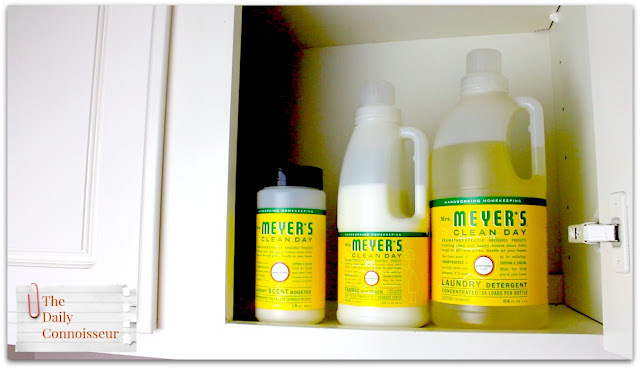 New customers to Grove can get a free Mrs. Meyers gift Set, which includes a Mrs. Meyer's dish soap, Mrs. Meyer's hand soap, and Mrs. Meyer''s Multi-Surface Spray + Free shipping with VIP Trial when you sign up with Grove Collaborative and spend $20. Existing members with Grove Collaborative can receive a free walnut scrubber sponge. I hope you enjoyed today's Natural Home with Jennifer. Let us know what your favorite natural deodorant is in the comment section. If you have any requests for future reviews for this series, please leave them below. Have a wonderful weekend and I'll see you on Monday!